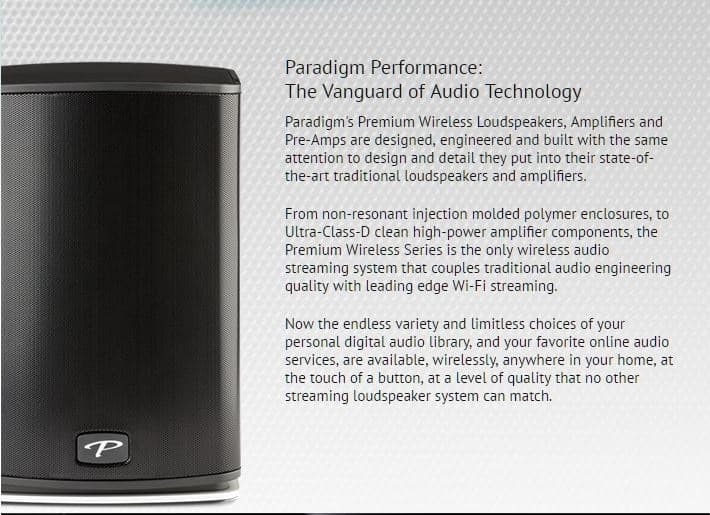 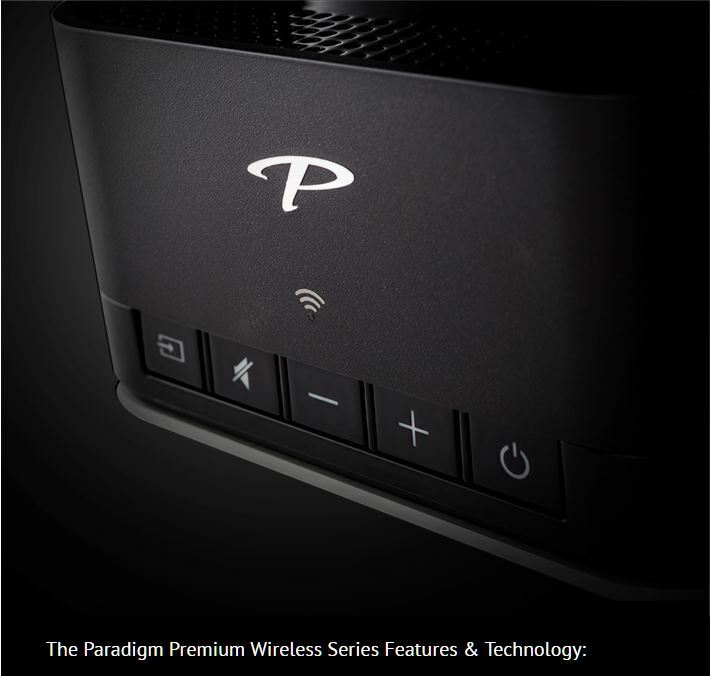 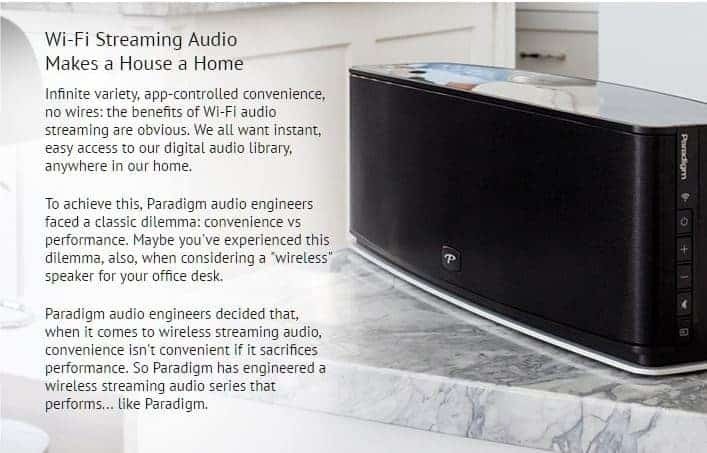 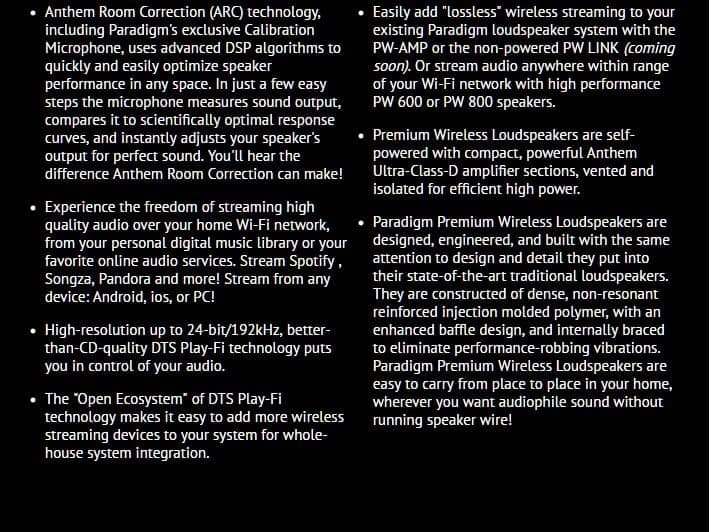 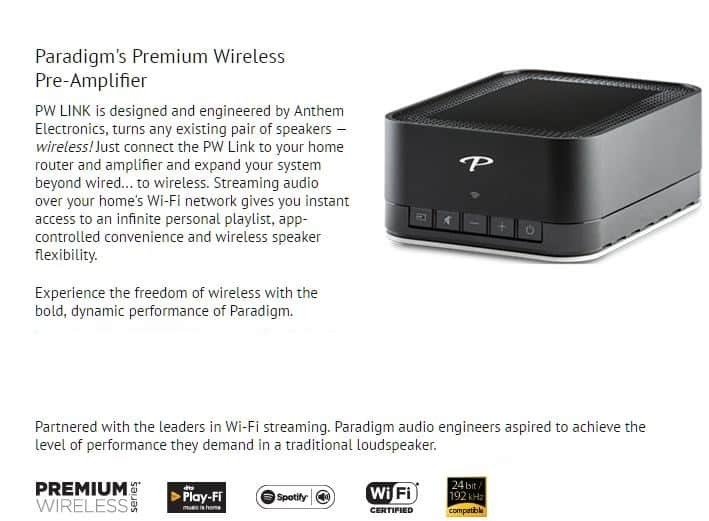 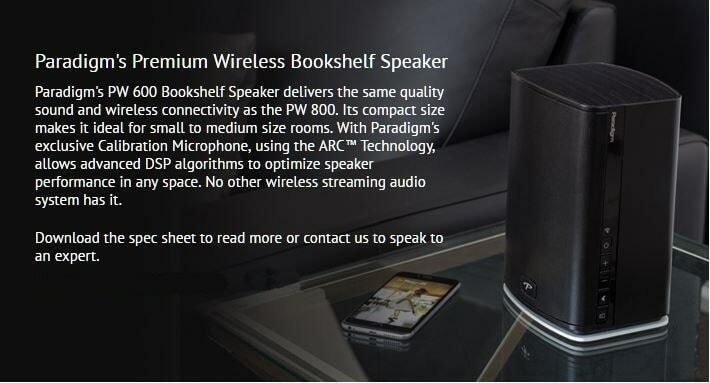 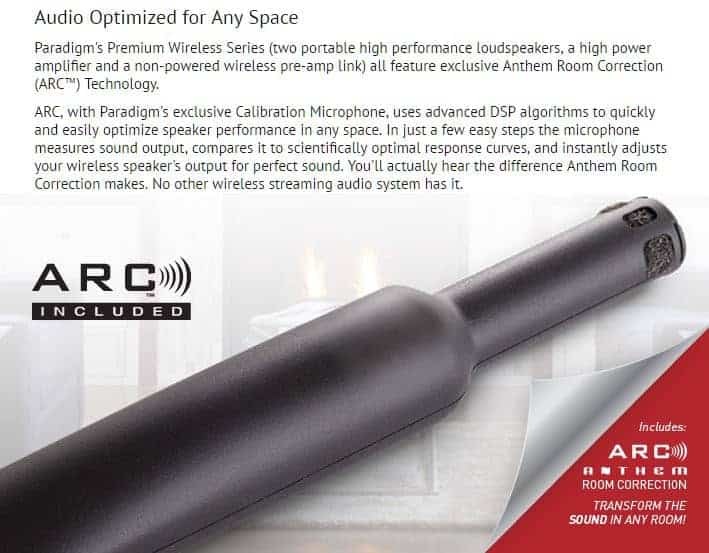 Paradigm’s Premium Wireless Series is the only wireless streaming system to feature reference-level performance. 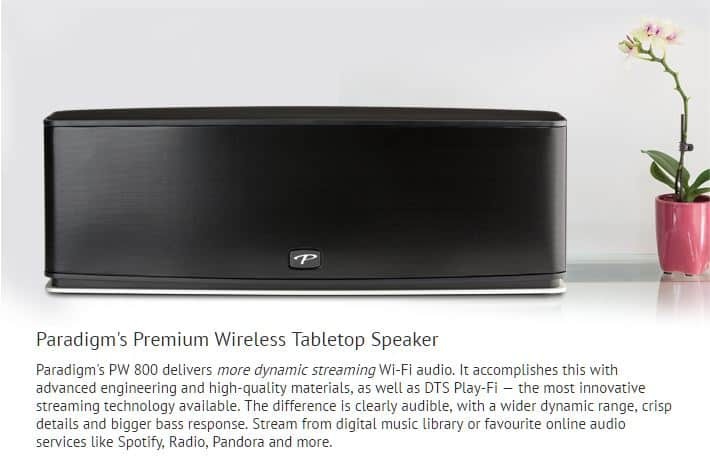 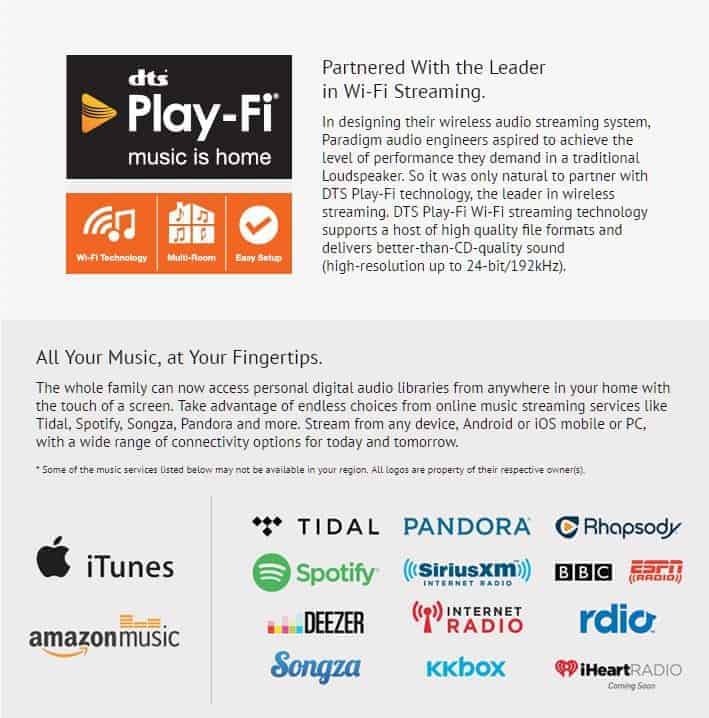 It combines our innovative loudspeaker and amplifier engineering with state-of-the-art DTS Play-Fi® wireless streaming technology. 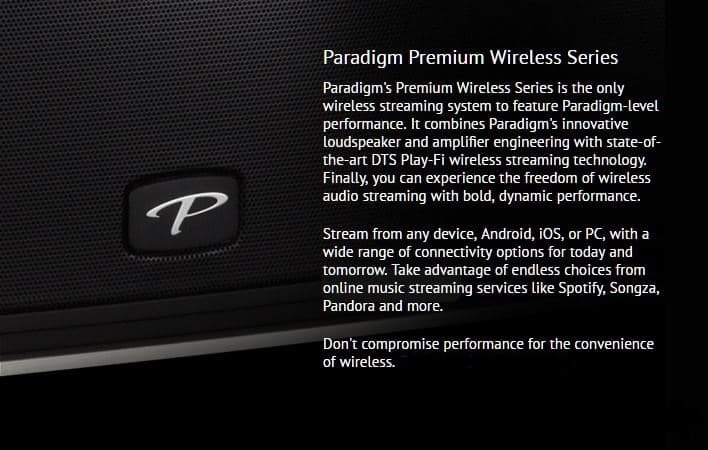 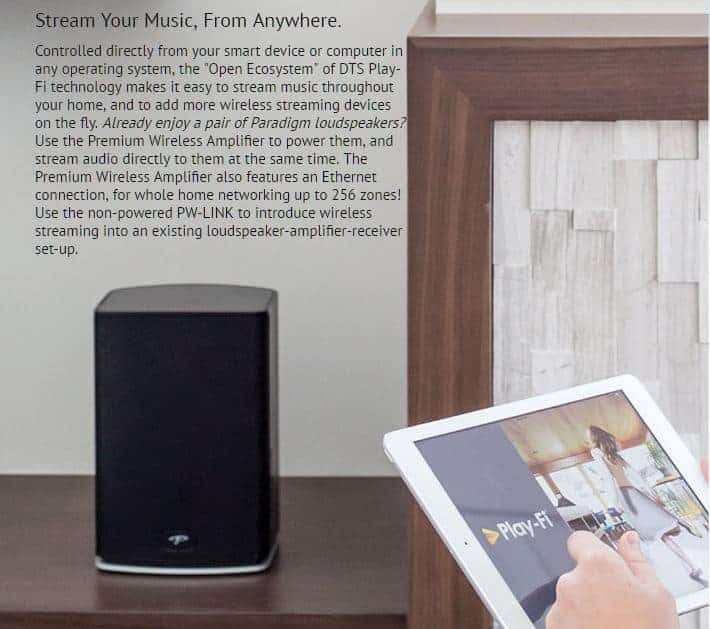 Finally, you can experience the freedom of wireless audio streaming with bold, dynamic performance.